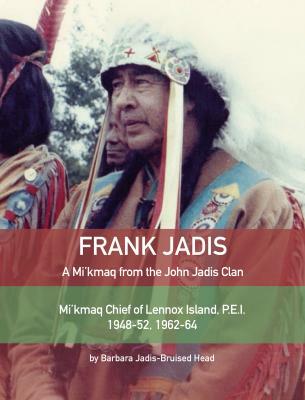 The Mi'kmaq Jadis family have survived 187 years of change, from 1830 to present day. Their ancestors were resilient and proud to continue Mi'kmaq heritage by practicing ceremonies and respecting traditional beliefs. The descendants of John Jadis on PEI, the Frank Jadis family, are proud to be leaders, carriers of cultural knowledge and talented people who are gifted in maintaining their language, producing porcupine quill work and centuries of making black ash baskets.They continue to incorprrate Mi'kmaq motif in traditional regalia, quill work and art.This book serves to pass on Mi'kmaq heritage to future generations. Author Barbara Jadis-Bruised Head is the youngest daughter of Frank Jadis. She was raised on Lennox Island and lives now in Alberta, where she is a teacher.